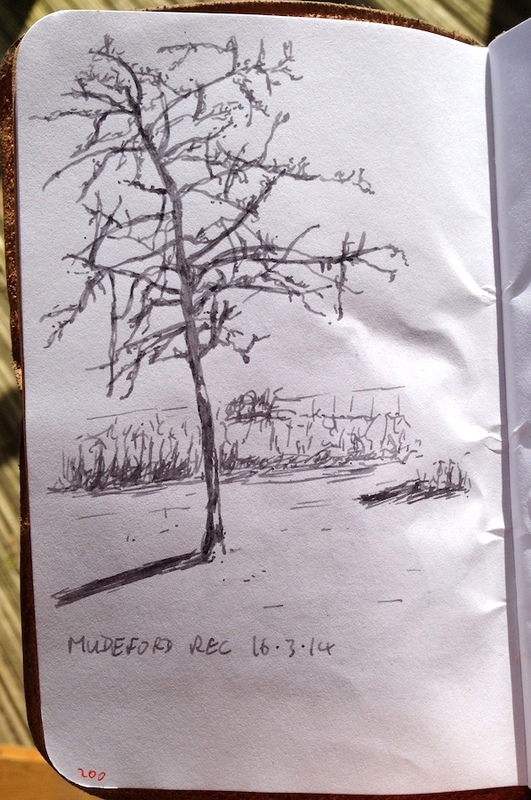 Tree at the end of winter (sketch) – Pens! Paper! Pencils! Here’s a quick sketch I did in my Calepino notebook with a Kaweco Classic Sport and Pilot Iroshizuku Kiri-Same. I love sketching with this ink. Lovely sketch Ian. The combination of a great pocket-sized notebook, a compact fountain pen (with wonderful nibs) and the shading properties of Kiri-Same, makes these artistic opportunities all the better.